Nearly one hundred years after the Henry Street Settlement was founded, this venerable institution still serves the people of the lower East Side of New York. 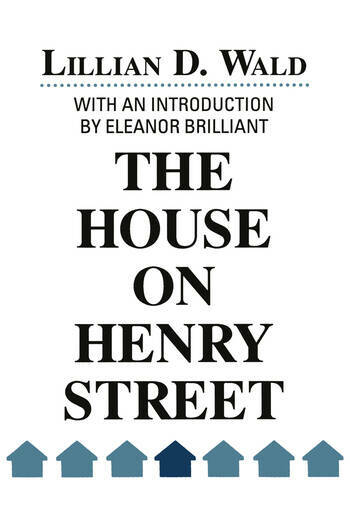 Much of the credit for its survival may be attributed to its founder, Lillian Wald, who is also the author of this book.The House on Henry Street was written at the height of the Progressive Era, when economic prosperity and an expansive spirit were pervasive, but when poverty and misery were the lot of countless new immigrants and families in urban areas. This book is the story of the early years of the Settlement and of the personal involvement of Lillian Wald in the social reform activities of the Settlement and the Progressive movements. From the first it was considered a significant work, and was widely and favorably reviewed. It remains significant.The story of the Henry Street Settlement is part of the history of New York City, as well as a key moment in the growth of social work in the United States. It is integrally related to the story of progressivism and social reform. Although the book's style is simple, it tells a complex story, both of one woman's indomitable nature, and of a special institution in a particular neighborhood of New York City. The House on Henry Street reflects the spirit of an optimistic era in which actors were part of larger social and political changes. It is also a history that moves easily from the personal, through the community, and finally to the national levels of American government. Professionals in the fields of volunteerism and philanthropy, progressivism, women's studies, and social welfare will find this an absorbing document.